Four different game options that grow with your child! Start with matching the pictures to the letters. The puzzle design of the cards means that only the correct picture will fit with any given letter. Move on to swap cards as you deal the cards out equally and work to make pairs with the cards youÂ´ve been dealt. Move on to ask questions to earn your pairs, and finally to the partners version of the game. This is a more active version which has kids searching the room to find who has the picture that matches the letter theyÂ´ve been given. What Do You Learn? Recognition and naming of people, animals and objects. 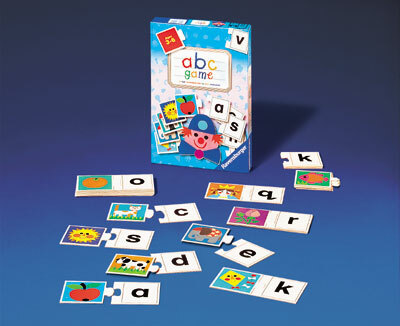 Also great for listening to, differentiating between, and pronouncing various letter sounds.